Good Organic Gardening - 05/06 2019 » Download PDF magazines - Magazines Commumity! Good Organic Gardening is Australia’s freshest gardening magazine with goodness at its heart - 100% real, organic and earthy. 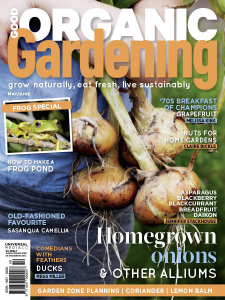 Good Organic Gardening offers the best advice for productive gardening and is the only gardening magazine that goes all the way to the dining table. If you love growing your own food, doing things in harmony with nature, and finding new ways of putting fresh produce on the table, Good Organic Gardening magazine is the title for you. Great fresh food is the best satisfaction of good gardening.